The Environmental Protection Agency has no plan to force a delay in a planned September oil and gas lease sale by the Bureau of Land Management in southern Colorado, according to the region’s agency head. EPA’s Region 8 Administrator Doug Benevento told Western Wire that any notion of his office attempting to halt BLM sales or challenge BLM’s process was inaccurate. “That’s just not right,” said Benevento. Any deeper interpretation would be a mischaracterization of the letter, he added. 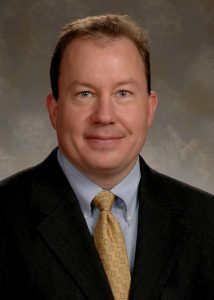 “After BLM completes its review of these resource concerns, we recommend that BLM consider whether there is merit to deferring these lease decisions for a short time until the new RMP [Resource Management Plan] is in place,” EPA’s National Environmental Policy Act Compliance and Review Program Director Philip S. Strobel wrote in the April 6 letter. Benevento, who reviewed the April letter, called the comments fair and measured, and within the boundaries of EPA commenting ability. A January 2018 Instruction Memorandum from BLM indicates that parcel reviews will not “routinely defer leasing” while awaiting a new RMP, as the EPA letter suggested. 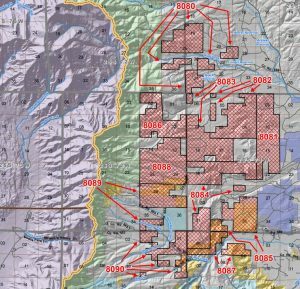 Jayson Barangan, a public affairs specialist with the BLM Colorado field office oil and gas lease sales division, told Western Wire in April that the planned September 2018 oil and gas lease sales was comprised of 18,358 total acres, but only 1,247 acres of the surface lands are BLM maintained, or 6.8 percent of the parcels on offer. The remainder of surface land parcels, 93.2 percent, are privately owned. The subsurface minerals are all part of the federal mineral estate, he added. Barangan also restated that the September lease sale parcels are not located within national park or preserve boundaries or adjacent forest service lands, and that early stories from groups opposed to the sales had included “misinformation” about the location of the lease parcels. An 11,000 foot ridgeline of the Sangre de Cristo Mountain Range separates the park boundaries from the ten parcels in the proposed September sale. “Great Sand Dunes National Park and Preserve is located approximately 10 miles to the west of the lease areas,” EPA Region 8 wrote. Barangan told Western Wire that approximately 20,000 comments were received regarding the September lease sale, but those comments aren’t immediately available for public review. Sen. Larry Crowder (R-Alamosa), told Western Wire that economic development in his district would be welcome, and claims of widespread or “dire” opposition by local residents to the parcel lease sale would be mistaken. Crowder represents 16 rural counties in south-central and southeastern Colorado, including Huerfano County, where the parcels are located, as well as Alamosa and Saguache counties, which surround the Great Sand Dunes National Park and Preserve. “Here’s the reality of what we’re facing: I represent 16 counties in southern Colorado, and 15 of the 16 counties have large populations below the federal poverty level,” Crowder said. Crowder said a parcel on offer for sale may not even attract bids, but added he hoped there would be productive oil and natural gas development in the area. “Fracking is extremely safe, the technology has proven safe, and the economic development for that region would be tremendous,” Crowder said. Natural resource development in neighboring Las Animas county, he added, has been a boon to the residents. “The severance taxes alone for that reason would be tremendous and a bonus for the region,” Crowder said. Crowder’s counterpart, State Senate Minority Leader Leroy Garcia (D-Pueblo) has opposed the parcel lease sale, writing that the “Great Sand Dunes are not for sale.” Garcia was joined by his fellow Senate Democrats in signing a letter opposing the sale. Gov. John Hickenlooper, a Democrat, has not intervened, according to the Denver Post. Oil and natural gas industry representatives have pushed back, with the Energy Accountability Project (EAP) awarding an article last week in the Denver Post a “sputtering” rating for claims about the parcels’ proximity to the national park and threat to the local economy. Western Energy Alliance President Kathleen Sgamma told Western Wire that the arguments used in opposition to proposed lease sales are conflating the national park’s surrounding area with the park itself, and are ultimately self-defeating for the rehabilitation of national parks from an infrastructure standpoint. “This is a case where proximity to a national park is being used as an excuse to stop responsible oil and natural gas development,” Sgamma said. Western Wire is a project of Western Energy Alliance. “These leases are not near a national park. They’re on the other side of a mountain range from the Great Sand Dunes,” Sgamma continued. Besides the use of advanced technology for noise reduction and other mitigation, including light pollution, the industry is particularly sensitive to how it conducts business on public lands. “Oil and natural gas development is done in a way to protect national parks and other adjacent lands, but it’s being demagogued,” Sgamma said. With an $11.6 billion maintenance and infrastructure backlog at the nation’s national parks and monuments, Sgamma said, reducing the amount of public land and mineral estate for production will reduce revenues for possible infrastructure improvements. “It’s especially self-defeating because this administration is trying to use increased revenue from oil and natural gas development to improve infrastructure at national parks and enhance the experience for all visitors,” Sgamma said. Great Sand Dunes National Park and Preserve has deferred maintenance of $10.4 million, according to the National Park Service. Colorado’s total backlog for 12 parks, monuments, and sites is more than $238 million. A bill with bipartisan support in Congress introduced this year would point half of “all revenues due and payable to the United States from oil, gas, coal, or alternative or renewable energy development on Federal land and water” toward a National Park Restoration Fund. U.S. Sen. Steve Daines (R-Mont.) said the bill addresses the importance and immediacy of the national parks’ need for repairs and upgrades.